Four modern day sisters answer questions about love and faith as their father's health declines. The youngest sister, Taryn, begins research on female priesthood authority within the Mormon church. A skeptic and a proud agnostic, she challenges each sister to ponder the history of their religion and what it means to them. Relationships crumble and hearts break as doubt requires each of them to take an honest look at the life they have chosen. As the father's death nears, he calls his daughters to bring to him the healing cane, a family heirloom of Mormon magical powers. This interwoven first person narrative chronicles each sister during a period of life questions and mortality. Henson paints a stark contrasting montage of metaphoric dark and light in this timely story of tradition and evolving religious beliefs. 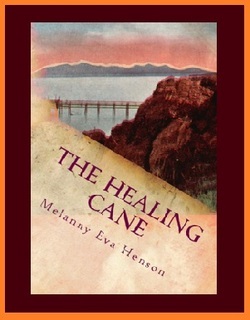 Melanny Henson is founder and publisher of Red Orchid Publications.